Anjlee Gadhvi Noorani was first diagnosed with liver cancer in 2013. She went public about it in 2015 after various treatments options drained funds raised by family and friends. She appealed for public help and received a donation of over Kes 6 million from Kenyans in a matter of hours. Anjlee announced that she had won the fight against cancer sometimes in September 2016. “This right here is among the things I’ve always wanted to have accomplished for quite a while! After fighting #livercancer and walking away a victor, I FINALLY get to cross this off my list!! Make your day count, get something done that’s been on your list.. #TransformationTuesday #bikelife #cancersurvivor,” wrote Anjlee Gadhvi on Facebook. Two days ago, Anjlee Gadhvi announced she was receiving cancer treatment. 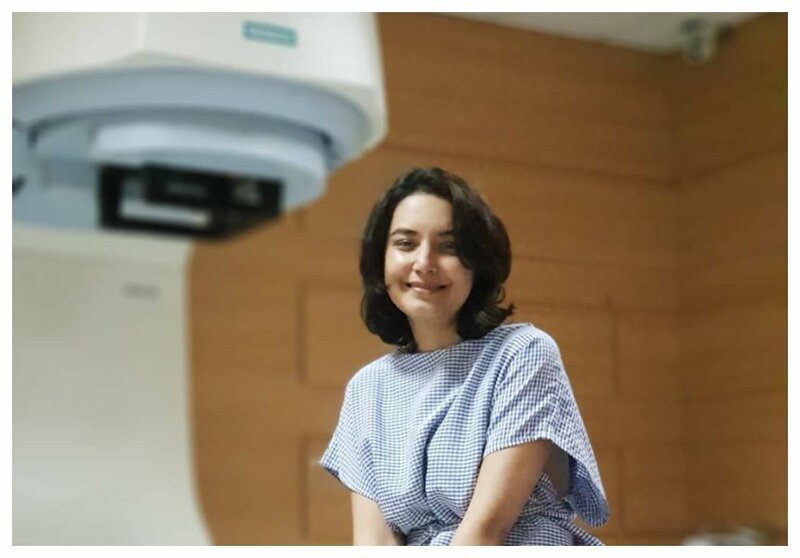 She took to social media to share photos of herself after undergoing radiotherapy.